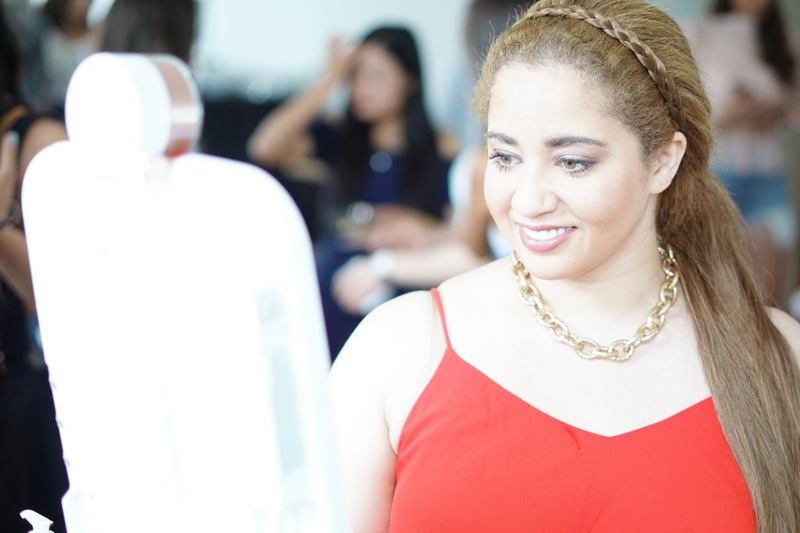 Today I am so excited to share with you one of the most innovative beauty tools I have ever seen. 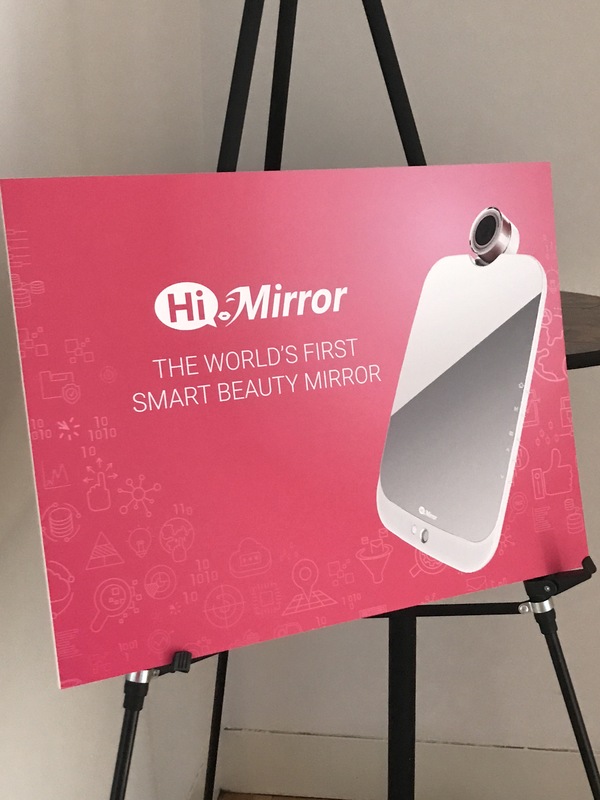 I present to you the Hi Mirror, your one stop tool for all things beauty, skin care and even body! First of all it’s just beautiful, and it’s slim and will work for lots of different’s spaces and will sit perfectly on your counter or vanity! You could even put it in your closet, hallway or mount it to the wall. It will work in any setting. Just look how beautiful it looks as a product by itself. So sleek in design and so innovative. It’s humidity and water resistant. It has a beautiful built in camera and a lens cover and offers the perfect amount of security with its facial and voice recognition. I know you already want one. 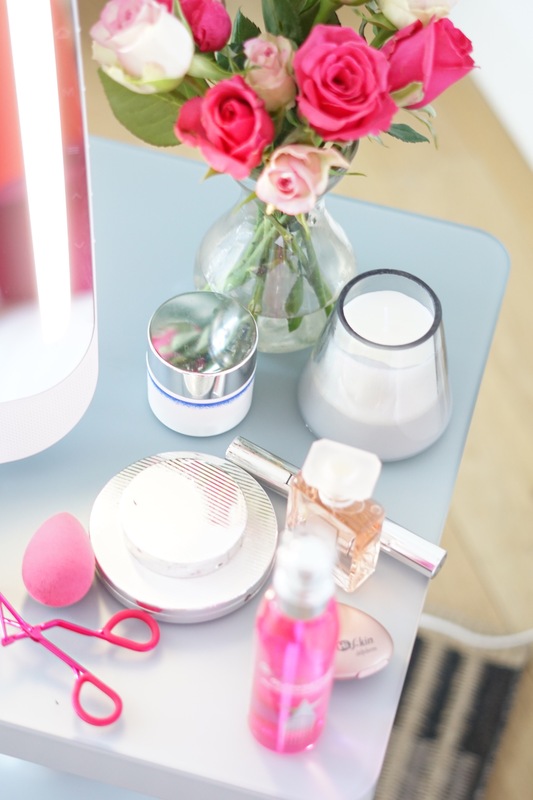 It also has adjustable lighting, so you can get your makeup just right. Because we all know how it is getting ready where you get your makeup perfect inside with your regular indoor lighting and then step out in to the sunshine and you used WAY too much bronzer and you neck is a WHOLE DIFFERENT COLOR. Problem Solved. 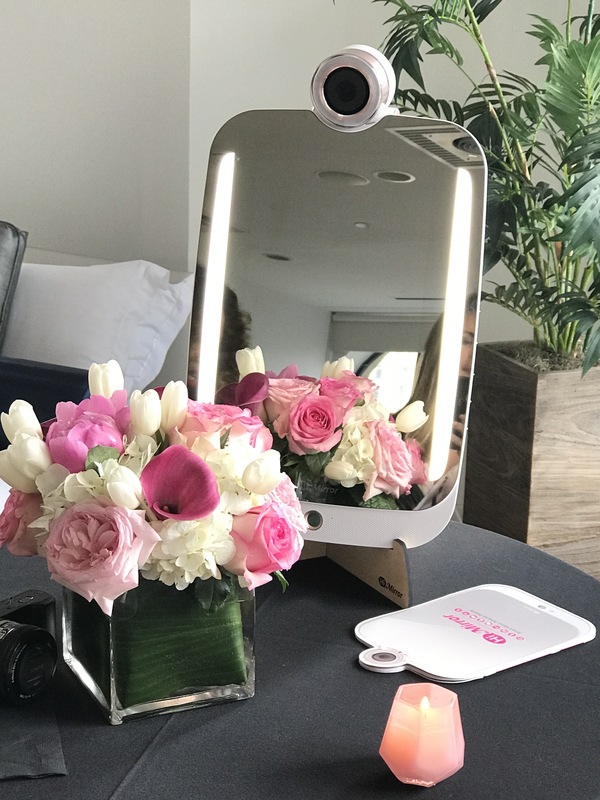 The Hi Mirror offers several different lighting settings so you can customize your makeup with your day, some of the features include: sunset view, restaraunt/party view, shopping mall/supermarket, brightly lit office, outside on a sunny day. Someone pinch me! As someone who suffers from hormonal acne from my PCOS, I deal with lots of different things. I get redness, I get breakouts, and get left with red marks and blemishes. 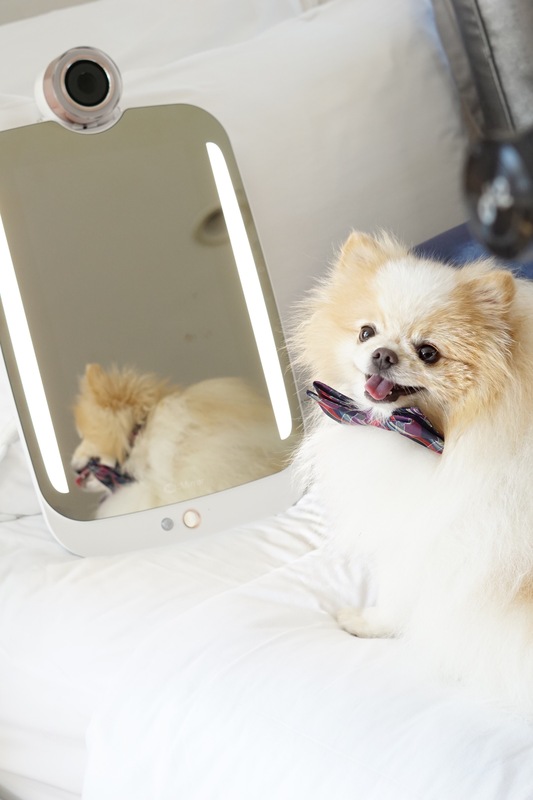 So start out with a clean face with no makeup with the Hi Mirror, and let begin to analyze your face. It will detect dark spots, redness and red spots, dark circles, darkness under the eyes, pores, fine lines and other aspects of your skin and show you where you need some TLC. Since I also receive a lot of beauty and skincare products from different companies, just trying a cream or a serum for a week, isn’t really enough time to know for sure that it’s working or what parts of your skin is improving. 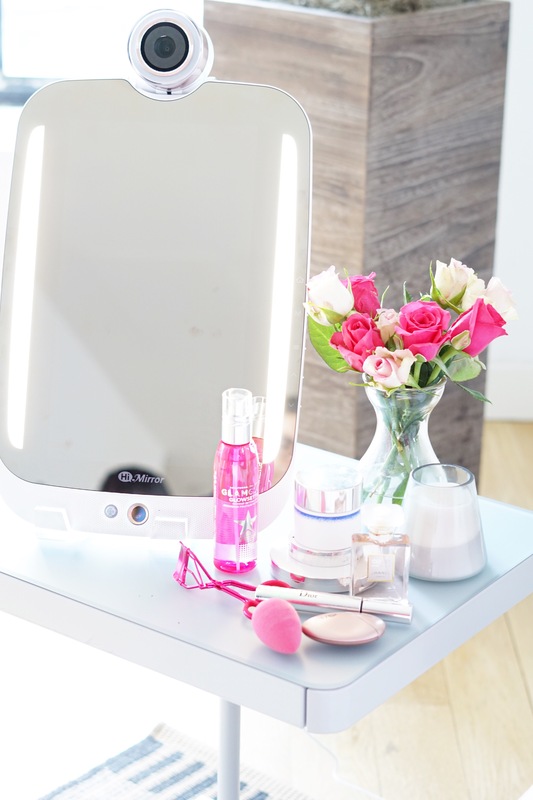 With the Hi Mirror you can enter in the different products that you are using and it will actually track your progress so you know what products are truly helping to improve your skin and what might not be working so well. You can easily add the products you are using by scanning the barcode into the mirror’s system. This will lead to you building you ultimate skincare routine. 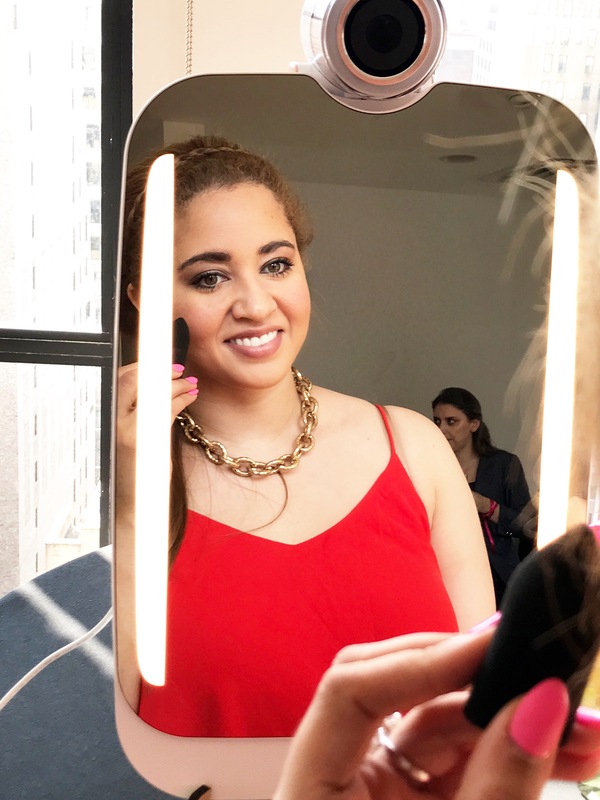 Not to mention, if you review a lot of products like I do, this is an added bonus because you will have a lot of valuable information on the products you are putting on your face because this mirror will show you your results and that will help you so much with your reviews. 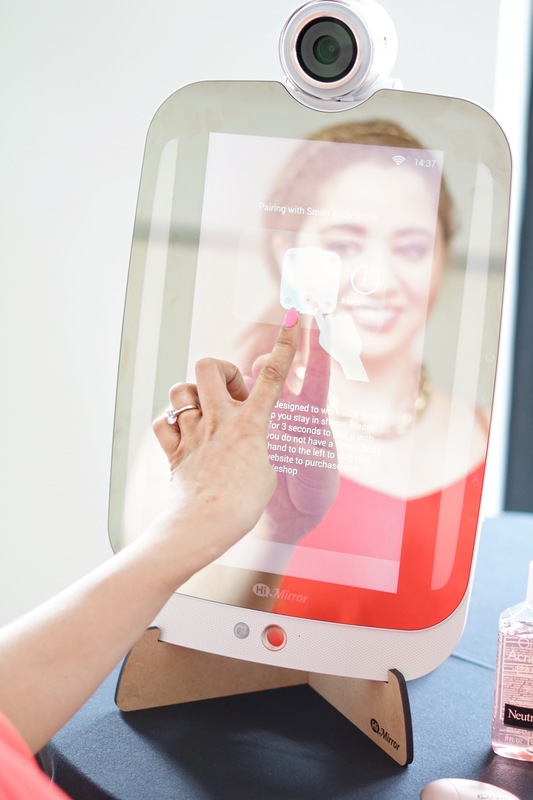 The Hi Mirror will actually give you a skin report with a graph and help you perfect your beauty rituals. Now what if I told you that Hi Mirror can actually help you with your BODY!? Yes, you heard that correct. This is your at home fitness and body concierge. The mirror will give you a body analysis with their separate smart scale. It will track your weight, BMI, body fat percentage and body type and give you a report. As if this wasn’t already MAGIC ITSELF. It comes with even more amazing perks. It connects to wi-fi and it’s bluetooth enabled, you can connect to your Spotify or internet radio, it will tell you the weather, the news and more! 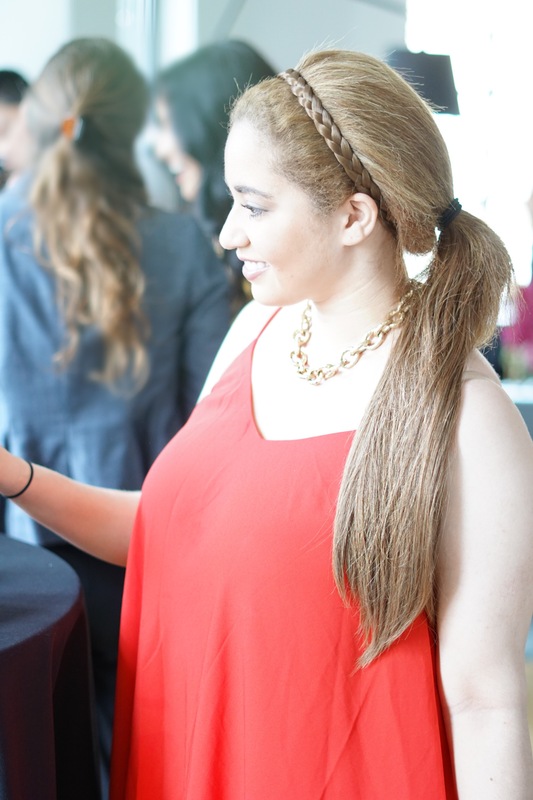 I had so much fun learning about the Hi-Mirror to day at their event in NYC, we had a great time being glam and girly and super high tech. 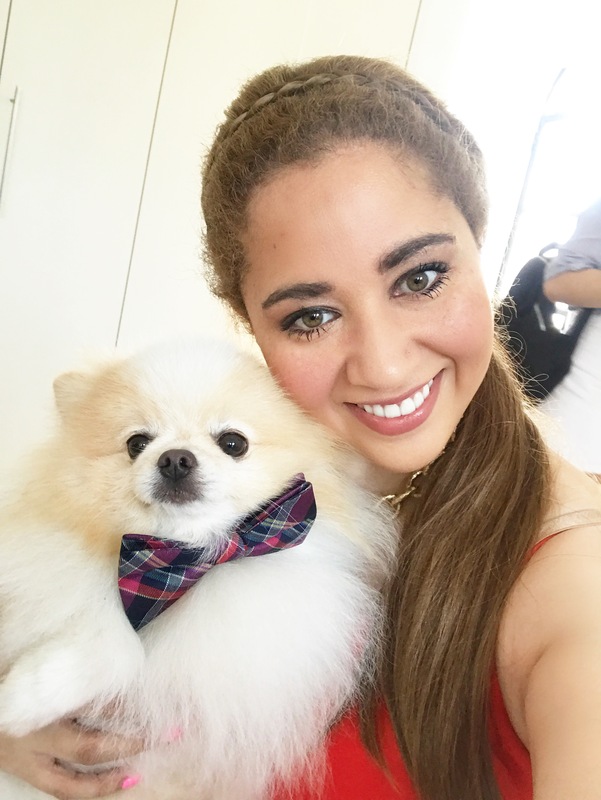 We also met Mr. Franklin the pomeranian and he loved it too! « My Gorgeous Watch from Jord and Contest!